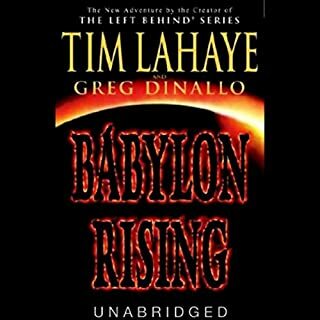 The biblical foundation for the best-selling Left Behind series.... In the twinkling of an eye, millions of people across the world vanish, resulting in highway catastrophes, plane crashes, utility breakdowns, and more. Chaos reigns. With the stage set, a dictator emerges who persecutes Christians horribly. But tribulation is about to give way to incredible joy - for the return of the King of Kings is at hand. 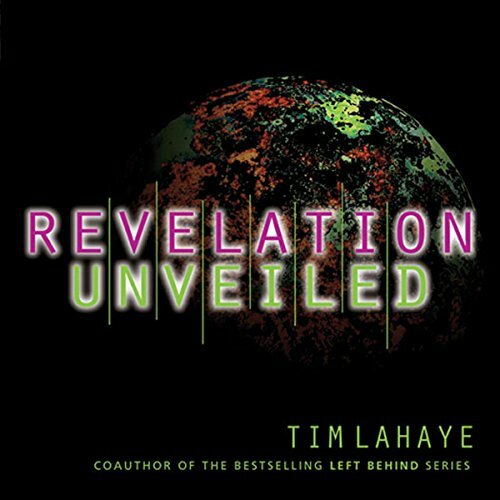 Previously titled Revelation Illustrated and Made Plain, Revelation Unveiled will help you better understand this mysterious, final book of the Bible and its implications. 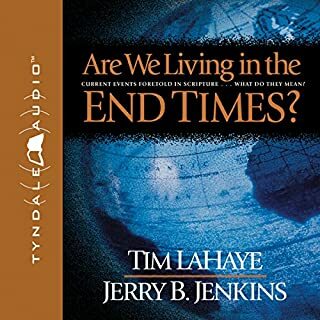 Without the PDF charts that Zondervan published for the audiobook version of this title, it is difficult to understand many of the concepts presented by Mr. LaHaye. Neither Audible.com nor Zondervan have been able to provide me with these charts in PDF format which were supposed to accompany the audiobook (and which come with the hard-copy of the book). Mr. LaHaye even negotiated with Zondervan so that Zondervan gives permission to use these charts if you wish to teach a Bible study class on Revelations with them. Again, a useless agreement when the sellers of the audiobook won't provide the files. If the files were available I probably would have given this audiobook 5 stars instead of only 3. Books of this type, I assume, are read by those who already accept the premise. 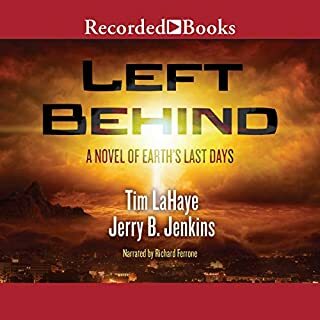 But I don't think that only Christians read the Left Behind series and this would be a good book to read if they wanted to learn the concepts behind the story. 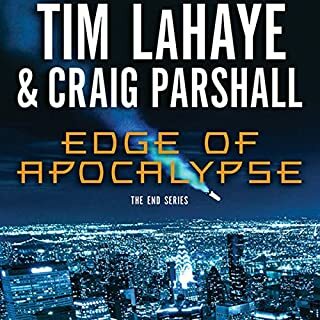 It is a good primer on End Times prophecy with a minimum of preaching (which it does obliquely - homosexuals, pornographers, and substance abusers get a special mention). This is not a scholar's book. It does not discuss translation or the use of a concordance. It uses various translations of The Bible when there is a quotation. What the book does is present its thesis that the End Times will occur in the following way: 1) the conditions which must be met for the Tribulation Period to occur (mostly having to do with the geopolitics of Israel - it is largely believed that this has been met since 1967) mentioned mostly in the Books of Daniel, Ezekiel, and Isaiah, 2) The Rapture, 3) The Rise of the Anti-Christ, 4) the seven-year period of Tribulation, 5) The Book of Revelation with descriptions of the bowls, trumpets, horsemen, etc. It is a frightening story and very provocative. I am not born-again, but I do find the subject fascinating. I think it is a great invitation to study The Bible and find what it means to you. And, in a selfish way, it is just fun. I mean, for a moment, let's just take its premise on face-value and accept it... it means we are all in for a real mess. It is read in a straight-forward fashion. I have no complaints about the narration or subject matter. And I do wish it would find a larger following. It should be added that this belief is largely endemic to the United States. It is not mentioned in Catholicism (though John Paul II did mention it), Europe is largely secular at this point, and most Protestant sects do not go in for this either. Therefore, this is only going to be heard by the already converted. To me, that is a pity. It is a fascinating introduction to an esoteric subject. Would you listen to Revelation Unveiled again? Why? Yes, I plan to listen this audiobook again and again because the material is sound biblical teaching that is clear and easy to understand. 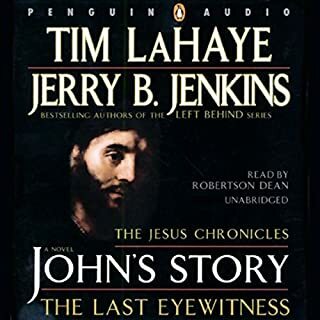 The narrator does an excellent job in narrating the book, and I appreciate Tim LaHaye's clear stand to remain true to the scriptures throughout the exposition when exposing the truth about the Ecumenical Movement and the false religions that some evangelicals today seem to be silent on; and even embrace! It is obvious that Tim holds no devotion to man-made religions while exposing the pure truth! I can greatly appreciate this, and so can our Lord Jesus Christ, I'm sure. What was one of the most memorable moments of Revelation Unveiled? When Tim spoke on the tragedy of the Inquisition and the how many Christians were tortured and killed at the hands of the Roman Catholic Church, which so many mistakenly blame Christians today for. When Christ returns to set up his millenium reign here on Earth for a thousand years. This is a reality that I am looking forward to. Christ Jesus will rule will the rod of righteousness and a perfect government. The whole Earth will rejoice! I also rejoiced at the scene in Heaven where our Blessed Savior, the Lamb of God that was slain for the sins of the world, is found worthy to take the scroll -- a signal that He is about to take redemption of the Earth and make an end to the sinful and corrupt system governed by man today that is headed in a downward spiral. It filled me with much hope and anticipation of the soon return of Christ Jesus. It also gave me cause to reflect upon the many states of the Church today and where I fit in. 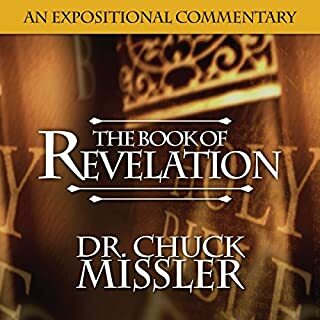 I pray that Christians will read this audiobook and gain a good grasp on what the Book of Revelation entails. May it cause them to be prayerful, remain watchful, and to hold to the inerrancy of the scriptures given to us. Most importantly of all, be separate and set apart unto Christ to the glory of our God! The story is very good, with lots of background and he is great at quoting supporting scripture. I do feel a little cheated though because they refer to charts and diagrams which are not included wth the audio version that I would love to refer to. The narration was decent, but not great. I wish there was a way to mark passages like on regular Kindle books to refer back to later. Overall very good and I would recommend it. While I learned alot about the Book of Revelations, I was not prepared for the numerous references to other passages in the Bible one would have to refer to. Referencing the other passages is a must to understand Mr. LaHaye points of view. Well rounded audio book. Highly recommend it. Great for first time Revelation readers. Opened up my mind to a lot! Well done. Lots of detail. A lot of repetition in the presentation but informative. Some educated speculation. I really enjoyed this book. It contained a comprehensive and detailed commentary on the book of revelation that was interesting and easy to follow. Keeps your interest all 15 hours. I really enjoyed the parts about church history.